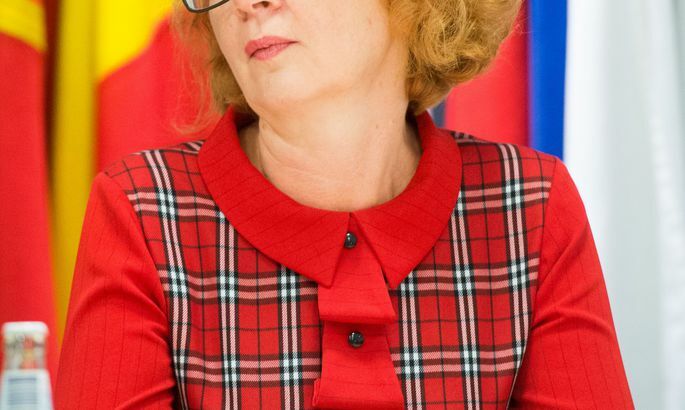 Yana Toom (Centre Party), elected into European Parliament with over 25,000 votes, has asked for close to €30,000 from European liberal faction in order to host a conference in her electoral district Narva three weeks before Estonian general elections, focussed on the situation and security of the Russian-speaking minority. Ms Toom, who has earlier voiced doubts regarding the sustainability of Estonia and one to vote against Ukraine-related resolution in the European parliament, is expecting people (i.e. potential voters) to meet her in Narva on February 7th. In addition to Ms Toom, the conference «Narva – Gate of Europe» features her fellow MEPs from Spain, Czech Republic and Finland. From Finland, Anneli Jäätteenmäki has promised to attend. In 2003, for a couple of months she managed to be Finland’s prime minister – then having to step down as it surfaced she had while campaigning used classified documents regarding the war in Iraq. On behalf of organisers, Ms Toom vows to present two «studies, a first in European Union, regarding the situation of the people dwelling next to EU border». To cover the costs of these two studies, Ms Toom has entered a total of nearly €18,000. One study headline «National security among the population living near eastern border» costs €4,634, the other titled «Political and social situation» will be €13,300. In addition to involving specialists, the conference is expected to gather a crowd as large as possible. Separately, Ms Toom has specified the involvement of local youth. The cost of the entire event, including accommodations of three colleagues and preparation of the conference is €28,641 writes Ms Toom. The application has been filed by Ms Toom as at January 6th this year. The MEP Yana Toom said the first of the studies would be completed by the conference while work on the second will continue. She underlined that all members of the faction have the right to as money for conferences held by them and this would definitely not be an election event. In mid-July last year, with 497 votes for and 121 against, the European Parliament issued a declaration regarding the situation in Ukraine. Among others, Ms Toom and the Latvian Russian-speaking and Russian-minded MEP Tatjana Ždanoka voted against. «If we want to end the bloodshed and reach a peaceful solution of the conflict, we should try to understand both sides. Regrettably, the text of the resolution is unbalanced and may give the impression that the European Union has taken a side in an armed conflict where all those participating are worthy of criticism. Several serious accusations stated in the document have not been proven with evidence enough. Therefore, I did not consider it possible for me to support the resolution,» explained Ms Toom. It has also been the desire of Ms Toom that the sanctions declared on Russia for attacking Ukraine be cancelled.